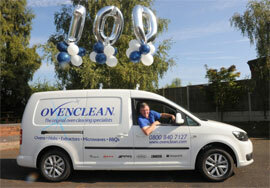 Following a hugely successful few years for Ovenclean – the UK’s original and leading professional oven cleaning specialist, they are delighted to announce James Arthur as the 100th franchisee to join the nationwide network. 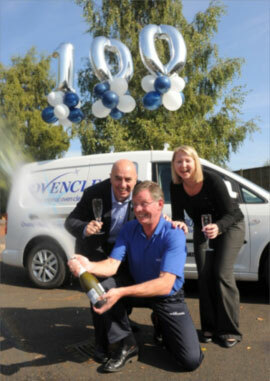 To help celebrate, £100 worth of free Ovenclean products, champagne and balloons were laid on for James on the first day of his two week comprehensive training course at the Midlands-based Head Office. James is very proud to become the 100th member of the Ovenclean network and cannot wait to get started, serving South Macclesfield, Congleton and the surrounding areas. James, who previously worked in the charity sector managing a team of twelve people to raise an astonishing £3m, before becoming a professional yachtsman for two years, knew investing in an the Ovenclean franchise was the right decision after attending an open day where he was extremely impressed with the professionalism of the Head Office team.